If you’re reading this, you’ve made the decision to quit smoking, or you’ve recently taken the first step in quitting. The hardest part of stopping any habit or addiction is simply deciding to do it. Have you laid down the cigarettes and walked away, or have you set a date to quit? If you haven’t set a date, you might consider doing so, as it gives you time to prepare. The first few months after you stop smoking will likely be the most difficult time of your quit. You’ll second-guess your decision and perhaps regret it briefly, especially in the first few weeks. As you begin to feel better and get a handle on breaking habits, you’ll be more confident and certain in your decision. We find that most people stumble through the same hurdles, so we’d like to discuss them quickly. Don’t underestimate the hold smoking had over your life. 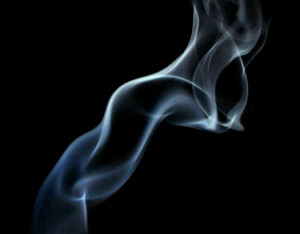 Smoking is not only an addiction but also an ingrained habit that can be difficult to break. If you choose to use nicotine replacement therapy (NRT), you still have the nicotine in your system, but it’s delivered a different way. NRT does nothing to help you break the habit of smoking, however. You were used to having that first cigarette of the morning with your coffee. You always lit up the minute you got into your car, or you pulled one out right after a meal. You’ll have to find ways to get through those times. Perhaps you’ll discover that drinking a big glass of water in the morning, instead of having a cup of coffee, helps quiet the craving. Or maybe you’ll keep cinnamon toothpicks or gum in the car (cinnamon has been proven to help cravings) to put in your mouth when you leave for work. And after eating, you may have to go back to your desk to avoid the smokers at your workplace. The more successful you are at recognizing your routines, the easier and longer your quit will be. Cravings go away—yes, they do. When you feel an urge to smoke, it will be strong at first, and then it will lessen and fade away if you don’t dwell on it. You need to change gears in your mind immediately when a craving hits. You may be grouchy or out of sorts, and that’s normal. Leave the room or area you were in and find something else to do. Go for a walk. Clean the bathroom. Drink water. Anything to get you away from that place and the thoughts that triggered the cravings. The urge will go away. The better you are at moving to a new location and doing something different, the quicker you’ll feel in control. And then it just takes time to master those cravings. You may feel mild to medium cravings a couple of times a year for a decade or more. That sounds difficult, but it won’t be after a year or two. It truly does get easier as you go. Don’t make the same mistake 90%+ of quitters do. When you quit, you quit. That means you will never have another cigarette. Stopping smoking is not a game in which you can have “just one” after three months and quit again. “Just one” drag leads to “just one” cigarette, “just one” pack, and “just one” carton. Soon, you’ll be back to smoking at least as much as you were when you quit. So don’t play that game with yourself and allow “just one” into your life. If you do, you will lose, and you may never be able to muster the desire or the strength to quit again. Quitting smoking is that serious. Most people have to try several times before they can stay quit, and almost every time, it’s that “just one” mentality that beats them. Many smokers never try again, and they die from a smoking-related illness. Don’t play with this addiction. And if you’re thinking about vaping, think again. E-cigs are so new that we’re still finding out more about them, and the news isn’t good. The purpose of quitting isn’t to keep doing nicotine in a different form, it’s to be rid of the addiction to nicotine altogether. And if you live in a state that allows marijuana use, you won’t help yourself by smoking that in lieu of cigarettes. You are still burning a plant and inhaling it. Often, smoking marijuana makes going back to smoking easier. Don’t do that. Don’t forget why you decided to quit. That reason will always be there. Find a way to overcome the habit, and you’ll win. If you need help, let us know.